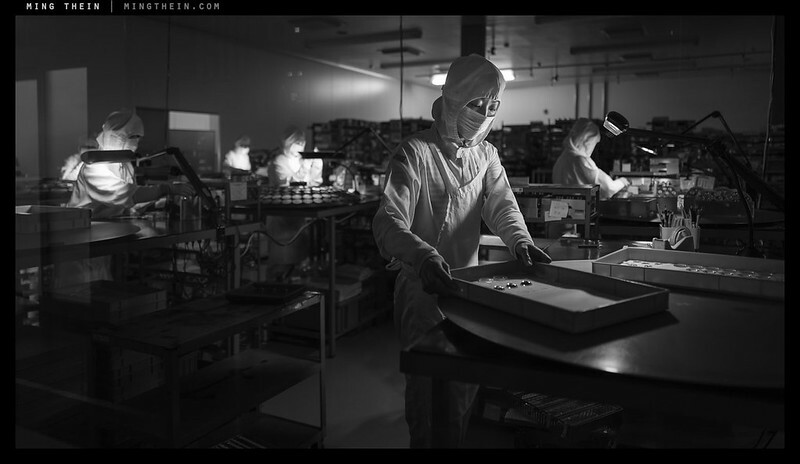 Monochrome images in this article from the factory were shot with a Leica Q. Color images were shot with a Nikon D5500 and Sigma 18-300/3.5-6.3 DC OS Macro C.
Following the interview I conducted with him last year, Sigma CEO Kazuto Yamaki invited me to ‘visit home’, as it were, should I ever be in Japan. I took him up on that offer following the Tokyo Masterclass in November. Of course, Sigma’s production facilities aren’t located in Tokyo (even though the design and marketing parts of the firm are): far from it; a number of modes of transport brings us to Bandai, where the factory is. We were graciously hosted by Kazuto-san and Shinji-san, who works in international marketing and is Kazuto-san’s cousin. Sigma, as I found out earlier, has always been a family business. And that allows them to take an interesting approach to lensmaking. 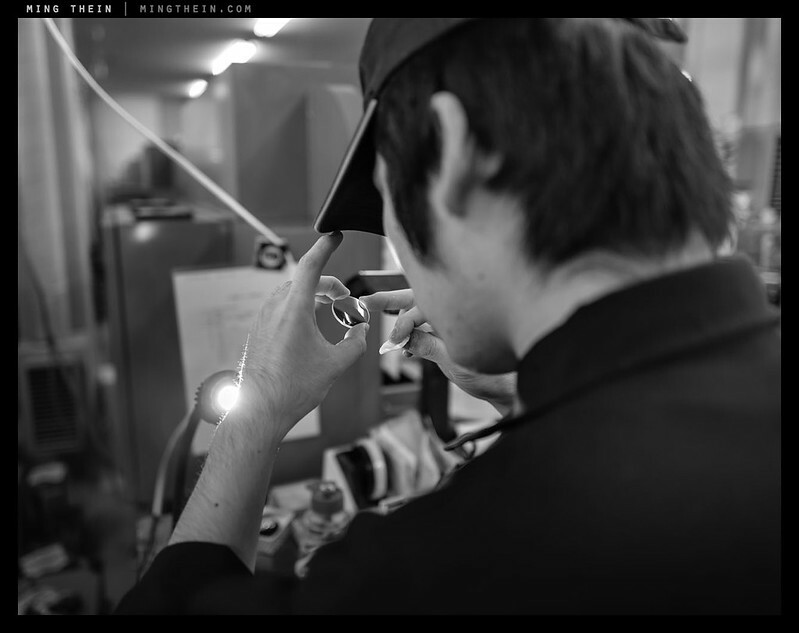 Lens manufacturers basically run the continuum from the artisanal, one-man shows like Miyazaki-san of MS Optical who essentially turns parts by hand and collimates lenses for infinity using a periscope in his workshop – to highly automated facilities like Sigma and no doubt the other juggernauts. Zeiss and Leica are somewhere in-between – Zeiss is somewhat more automated but with a huge amount of emphasis on quality control and testing; Leica require more manual labor (and that’s reflected in the pricing, too). The only way to describe Sigma’s facility is utterly enormous*. 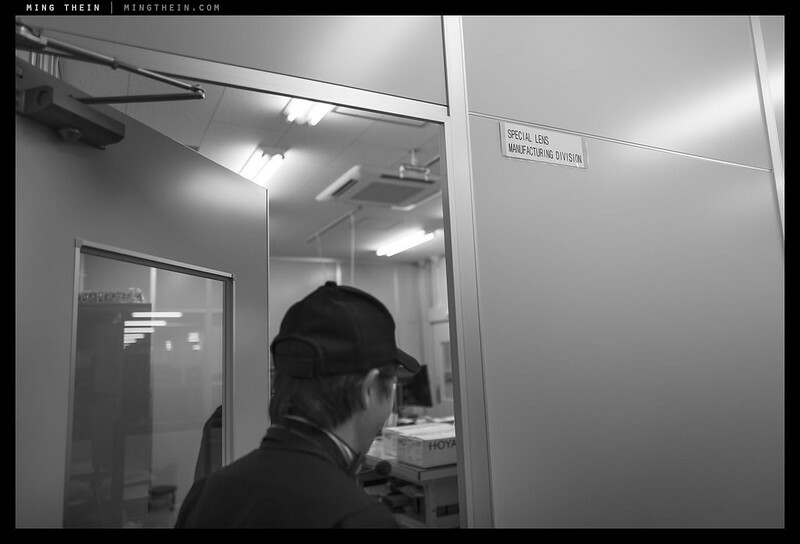 During my previous visit to Zeiss HQ in Oberkochen, we saw the only production facilities they have there – for the CP.2 and Master Prime cine lenses; everything else is done at Cosina (or other partners) in Japan. 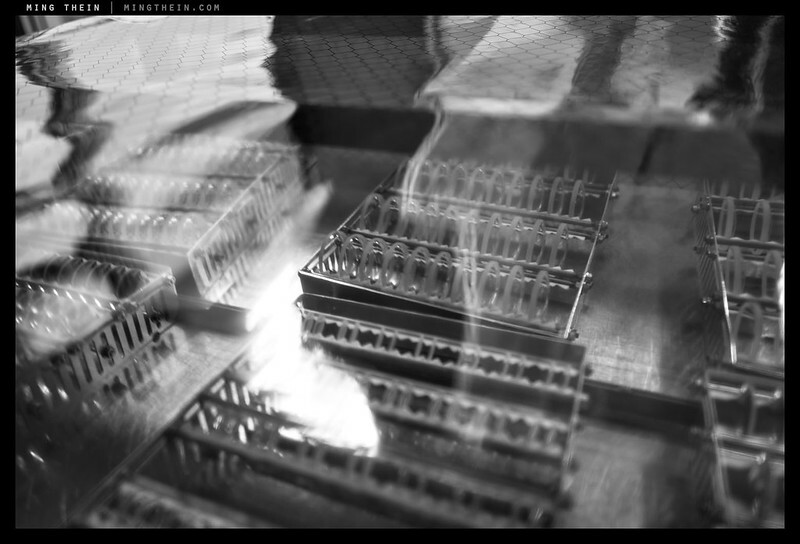 That facility felt more like a laboratory than a production line. Sigma, on the other hand, is clearly all about volume and efficiency. The factory itself seems to have no end of very large areas with literally hundreds of machines; separate areas dedicated to machining components, injection moulding, glass polishing, painting, coating, assembly and QC; it took us more than an hour to tour the place at a moderate speed, and we didn’t see everything. 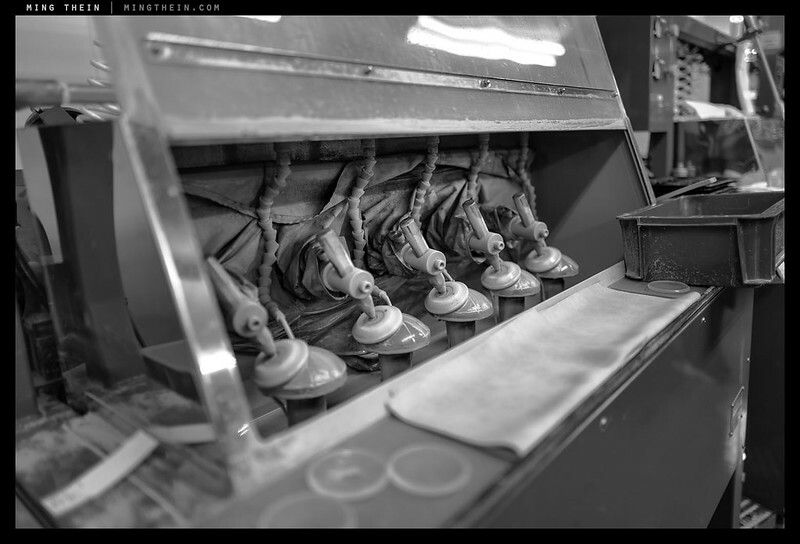 The place is kept absolutely spotless, which makes sense given how little dust it takes to make somebody return a lens. Many of the assembly and coating lines were off-limits because of clean suit requirements. 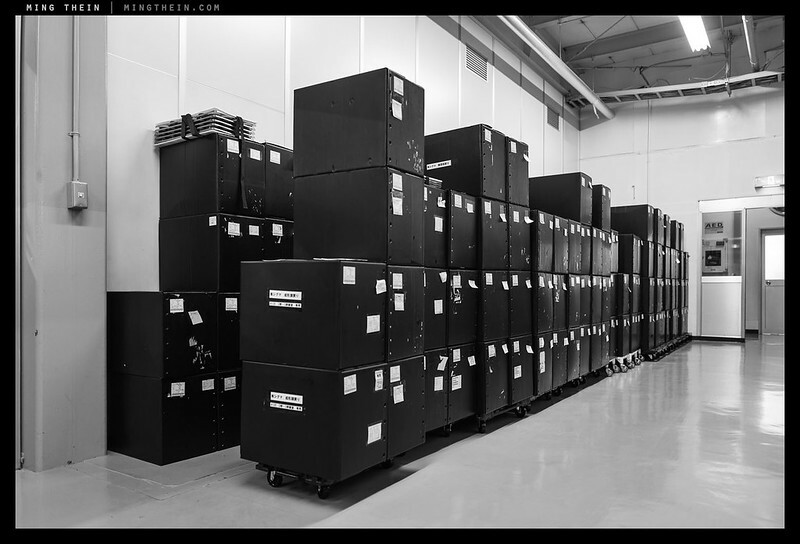 Actually, if you think about it, the size of the facility makes sense: Sigma produces nearly a million lenses a year – both under their own brand and as OEM for others. But on top of that, they also produce effectively all of the components for those lenses (except glass blanks). 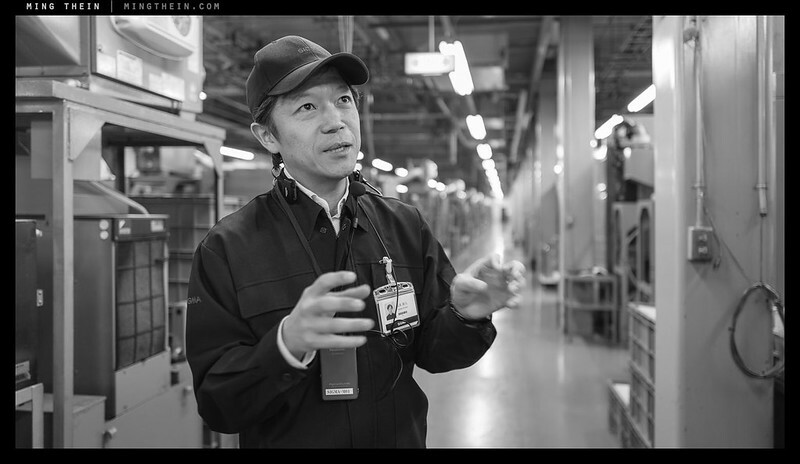 Kazuto-san explained it was for two reasons: firstly, quality control, and secondly, having everything vertically integrated in-house also undoubtedly means better cost control when producing things in volume. In fact, the level of integration and self-sufficiency was one of the things that really stayed with me after the visit: every portion of the process is controlled and optimised, down to material choices and tolerances (more on this in a moment). They even make their own screws. An optical formula is only as good as its production and assembly tolerances. In general, the higher the number of elements (i.e. more complex design), the better corrected a lens can be; however, the more elements, the more likely you are going to face alignment, flare/contrast and transmission issues. The latter can be solved with coatings, and we’re already at the point some lenses lose barely any light at all (the very complex Otus designs, for instance, are f1.4/T1.5). Dimensional limitations are something else entirely: firstly, the lens elements have to be ground or moulded (for glass moulded aspherical elements) to as close to the ideal shape as possible, and then set both perfectly parallel and along the same axis. Given that skew, shift or rotation can severely degrade resolving power – compounded by any moving elements such as stabilisation, zoom groups or focusing groups – I think you can see just how much of a challenge this becomes. It is the reason why lenses have sample variation at all: and the more elements, and the more of them that move, the higher the possible deviation. Instead of taking the crazy QC approach (a la Zeiss) – Sigma puts most of the effort upfront. There is still significant QC afterwards using the Foveon-based A1 MTF measuring machines, but it generally does not involve realignment or adjustment of components. There are machines to make tools, moulds and dies to very, very high tolerances – up to 0.2um for some parts, like aspherical element moulds. Combined with the right materials, this means theoretically far less deviation. It is the reason a lot of the element settings and internal parts are made from plastics rather than metal; the right kind of plastic is effectively a binary material: it is either the correct dimensions, or it is broken. Metal can dent/ warp/ distort or deform in such a way as to be uncorrectable, but still functional (and out of tolerance). The tradeoff is of course that to make the most of a plastic setting – i.e. rigidity and binary dimensionality – there can be no eccentric adjustments; it is assumed that the mould and all of the components are as close to spec as possible, and do not require any adjustment. Either all of the lenses go together correctly – if the assembly machinery is properly adjusted – or they all are similarly out of whack. The logic is of course more time spent sorting out the production line may well add up to less time spent QCing in total, and better consistency across a large run. 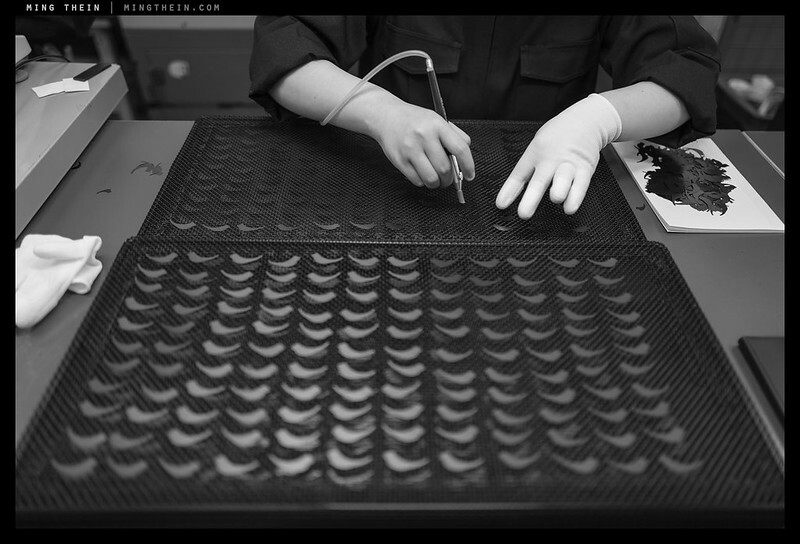 It may not make sense for very small volume runs of exotic lenses; products like the 200-500 are still assembled by hand. Given this knowledge, I of course had to ask one of those questions: which lens is the most difficult to make? Kazuto-san and Shinji-san took it in their stride: not the 200-500/2.8; not the 20 Art; not the 18-35/1.8, but the humble 18-300/3.5-6.3 DC C Macro. Not only does it cover a very ambitious range making the design optimisation difficult, but it’s a 17/13 design with no less than five exotic glass elements, a two stage extension, a moving group for stabilisation, and close focus ability – down to about 40cm and 1:3, albeit with some understandable shortening of focal length at telephoto and the near limit. On top of that, it has to sell at a price point that has to appeal to people who are stretching to buy only one non-kit lens to do everything. Ambitious? Certainly. They then went one better and sent me one to test – a production copy that was measured to be as close to spec as possible. I have used these super zooms in the past – when 18-200 was already considered an ambitious range – both in full frame (typically 28-300) and APS-C (18-200) flavours. And suffice to say, for the most part, I was not impressed – even when sensors were at the 12MP level, all of these fell dramatically short of being ‘good enough’. Things would be even worse given the demands of the 24MP APS-C sensors – few lenses I’ve used seem to really be capable of matching the resolving power required for the D5500. I entered this experiment with simultaneous trepidation, no expectations, and curiosity to see how far we’ve come. Whilst the 18-300 C is a significant improvement on any of the super zooms I’ve previously used, and the convenience of the whole package is undeniable – it is clear that many compromises had to be made in designing it. The central zones are almost always sharp, until you get out beyond 300mm; stopping down is then required. But you can’t stop down too much, because you’ll soon hit diffraction instead. The wide end is decent at f8 and between 18 and 25mm; ~35-80mm appears to be its strongest point, being adequate across the whole frame wide open, and very good when stopped down. Beyond that, things get a little softer/hazier – there’s this veil of something across the frame that lowers macro and microcontrast leaving the images with reduced bite at the pixel level. Chromatic aberrations are surprisingly well controlled, and color is very neutral given the number of bits of glass involved. The OS system is unquestionably useful, though does not seem to be as ‘positive’ in locking in as the latest generation of Nikon VR or Olympus’ IBIS. It’s probably closer in effectiveness to the Sony A7XII series. Overall, it feels about adequate for 24MP, and it does hit the sufficiency and convenience targets for most of the audience. That said, if you were using this on a 16MP body, I suspect the story would be quite different. Using DX crop mode on the D810, the lens looks good enough throughout most of its zoom range; focus in the middle and something will be acceptably sharp. It’s a step up above the super zooms of old, and a much better performer than the expensive and disappointing Nikon 16-80/2.8-4. 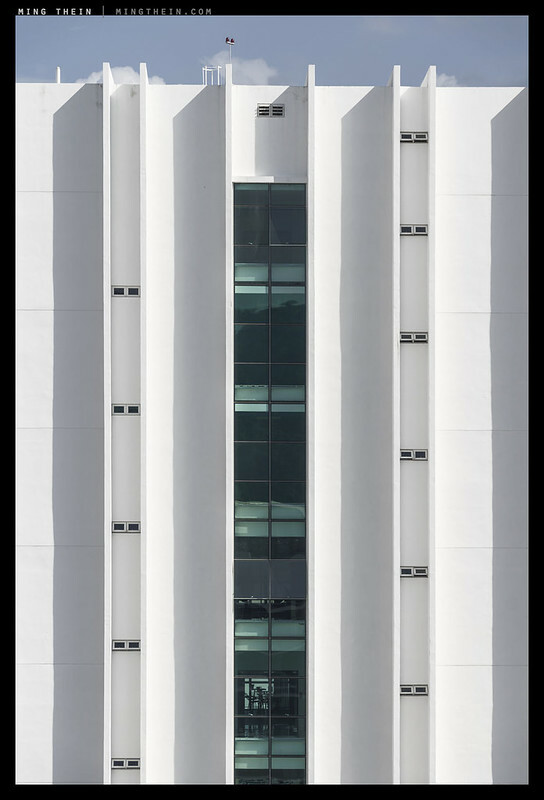 Physical limitations of optics aside, it’s worth noting a few things here: firstly, my lens did not exhibit any decentering and minimal variation between vertical and horizontal orientation. The latter problem is typically seen with floating VR/IS/OS elements – you’ll find that some softening towards the top or bottom of the frame often takes place, as though the element is too heavy for the suspension system and there’s a little sag. Secondly, the whole thing felt very precise: little play in the telescopic elements, and no backlash in either zoom or focusing ring (though the focusing switch must be moved to M to override – it’s connected directly to the motor and turns as you focus. Lastly, unlike Nikon’s own product: you have the option to fine tune focusing at four points in the range and four different distances; this is necessary on the D5500 since it lacks AF fine tune…consequently, after spending some time tuning it, I found that it focused accurately a very high percentage of the time. Personally, I don’t think it’s a lens I’ll add to the arsenal though – I have the D810 and a good sample of the 24-120/4 VR for that general purpose application. Rather, what I did land up buying on impulse after a trip to my usual dealer (for a battery, of all things) was their 18-35/1.8 Art. The 18-35 seems to be a rather limited zoom range at first glance – 28-50 equivalent – but in reality, it’s basically the two focal lengths I use most. Having both in a single fast lens, with very high quality, is actually rather handy. Better still that once again I can tune focus to suit my body precisely. This lens is a different beast entirely: firstly, it’s much larger and heavier (not that the 18-300 is small – it’s smaller than you’d expect after seeing say the Nikon 18-300, but dense and extends immensely on zooming) and secondly, it has the same precision feel as the rest of the Art lenses. Mostly plastics with some metal the 18-35 does not extend on zooming or focusing (with full time focus override) and has well-damped controls. I found this lens deeply impressive: not only does it perform better than the Nikon 20/1.8G, 28/1.8G and 35/1.8G DX (sharper wide open, better cross-frame consistency), it also does double duty – without the hood, it will cover full frame at 35mm, 1.2x from about 21mm, and square at most focal lengths. There is some vignetting, of course – but this is easily fixable in post. The Sigma 18-300 is available here (B&H, Amazon) and the 18-35 here (B&H, Amazon). Hi Ming; I was wondering when you’d get around to picking up an 18-35/1.8. I look forward to reading your impressions once you’ve played with it a bit. 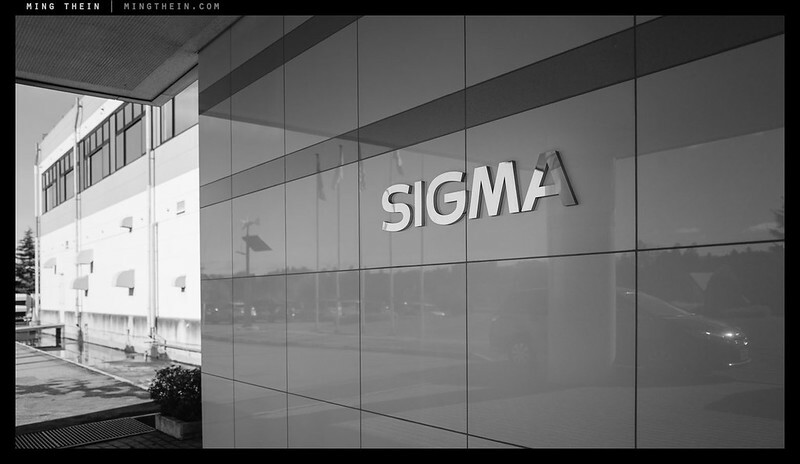 Sigma has been doing some interesting things these past few years (and I say that as management professor and business consultant as well as a photographer). And I do think at least Canon is beginning to take note: Canon is FINALLY making wide angle lenses worth having and using. Between Zeiss and Sigma (not to mention Fuji and mirrorless), Canon and Nikon really need to watch out. They are making tools, and consumers are increasingly more sophisticated and not willing to settle for just a name, high price tag, and a colored ring on the barrel. They already shot themselves in the foot with point and shoot cameras; they need to be more intelligent about what’s left of the SLR market. On a different note, I saw your exhibit in Chicago while there on business. Very nice; I hope it exceeds your expectations! I own the Sigma Art 35mm and 50mm. Although the 50mm required significant fine tuning using the USB dock and a Spyder lensCal these two lenses are absolutely wonderful. Love the weight and beautiful construction of these lenses also. Thank you, Ming – that all sounds very positive. I’m very tempted by the 18-35mm (it covers almost everything I do) but worried that it might make me look like I’m using a longish telephoto lens in the street, where the 35mm f/1.8 DX is so small that no one pays you a second glance. I think I should rent one and see how I get on. Do you think the internal fine-tune will cover things or is Sigma’s USB dock required? Thanks for another great read about a manufacturer and their processes. I really enjoy these, and my respect for Sigma has only grown after reading your interview with Kazuto Yamaki and this article. I do not understand why you tell that the AF-S Nikkor 16-80/2.8-4 is a disappointment. My sample is very good. Obviously my 21/2.8, 35/2 and 100/2 Zeiss are better … Is it expensive? actually not so much if we compare it to similar m4/3 lenses, which cover a smaller format (DX sensor is 66 % larger than m4/3), have less range and do not have image stabilization in the lens. Do you think that the Oly 14-40 on E-M1 is better than 16-80 on D7200? 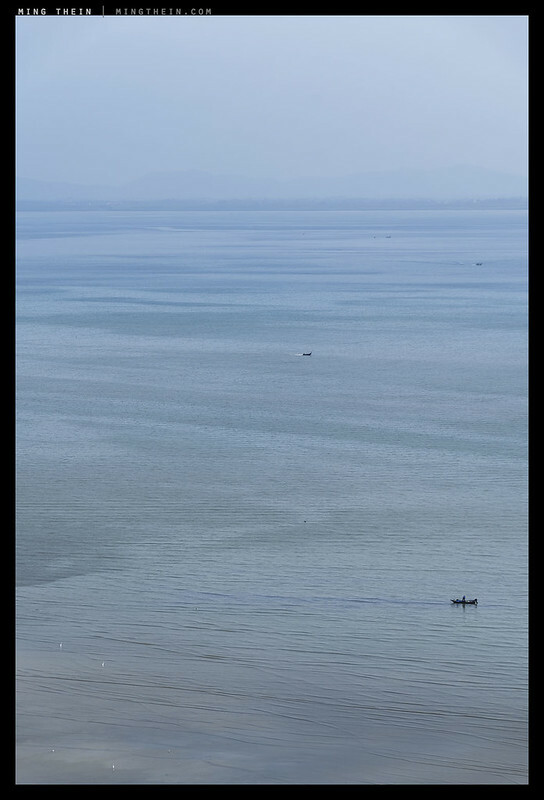 Because all four copies I tried were so soft at 80mm as to be unusable, irrespective of aperture and focus distance. 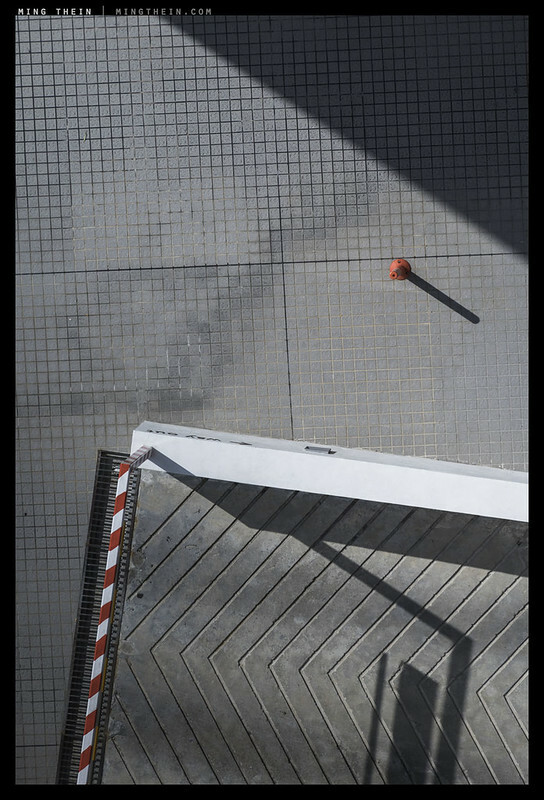 I’m not comparing it to the Zeisses; remember I also use a 24-120 for a lot of my work and I’m pretty happy with that. Very interesting read. I recall when Sigma lenses first appeared, they were considered cheap and not desirable. After reading your article, however, I do realize that this company really does put in effort. They were, and admitted as much themselves – and to big changes in the last 10 years or so. It’s paying off, I think. Really enjoyed this article Ming. Thank you for sharing your experience at Sigma as well as your insights. For American customers there’s another advantage to Sigma over Nikon lenses: I tripped and fell going upstairs and chipped a chunk out of the front of my 18-35 f/1.8. For $150 Sigma replaced the front of the lens (reasonable) but what was breathtaking was the turnaround. They received the lens on Monday and by Wednesday it was already back in the mail to me. Nikon USA probably would’ve kept my lens (well, a Nikkor equivalent) for 3 weeks instead of 3 days. It also focuses perfectly on my D7200, no finetuning needed whatsoever. Oh man, Sigma service is amazing. I bought one of their first-gen 30mm MFT lenses, used. (The lens is ok, but has a unique look that keeps me using it in addition to the Oly 45mm) The lens arrived with the focus motor stuttering and throwing the occasional lens error. Sigma had me ship it to their New York offices. A week later, the box was back at my door. The speed of the return and their lack of telling me they received it or quoting me a price to fix suggested the lens had never made it to their service center. But it had, for free, and continues to plug away to this day. That experience and the quality of the 18-35 made it an easy purchase last year. Seems sigma is after the resolution seekers (like you said, “sharper wide open, better cross-frame consistency”). Could resolution influence tonality? It definitely does, because you eventually reach a point that to increase resolution, you must have higher apochromatic correction; this in turn lands up influencing color and tonal gradation, too. I think so too but for a different reason: if we look at resolution as the ability to distinguish one pixel from its neighboring pixel, then tonality (roughly speaking and in B&W terms, the brightness difference between two pixels) has to be affected by resolution. We only get tonal gradation when we can tell one pixel from another, and when the lens can project a detail from object space (ie. 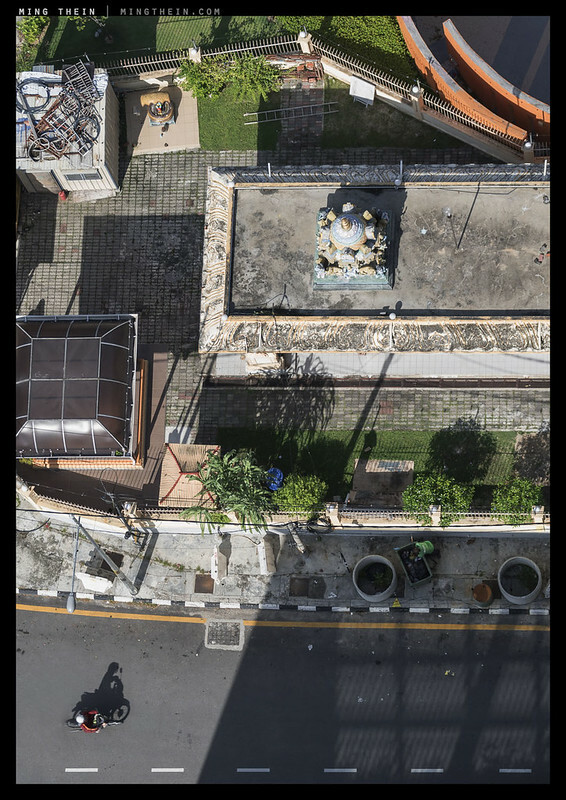 the real world) onto the image space (the sensor plane) so that the information meant for one pixel does not inadvertently get spilled onto the adjacent pixels by optical aberrations. Which is why more pixels give better tonality; the difference between the 12 of the D700 and the 36 of the D810 is striking “Smooth sharpness” is how I like to think of it. Thanks for the explanation Andre; very helpful! As an aside, the manuals and ancillary materials that come from the camera manufacturers is generally terrible. Likewise the documentation for the various software products we have to use. I’ve been learning Capture One (have you looked at it?) and the process is probably shortening my life. Capture One: no point, you can’t dodge and burn effectively. And the color profiles can be odd, with no easy way of reprofiling like ACR. 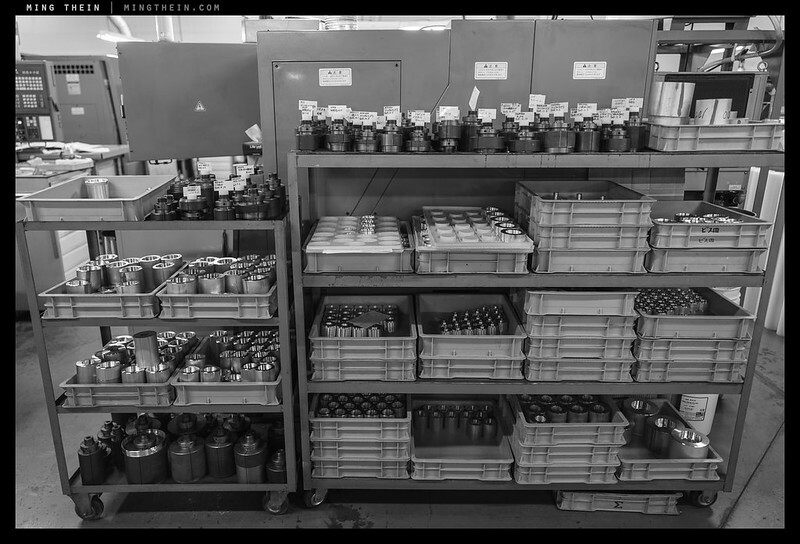 Very interesting and cool factory shots! Having two older models for myself: 17-50/2.8 and 50-200 for APS-C. Both not stellar but very well equipped for the price. On m4/3 side I’m using a Sigma 30/f2.8 DN which I find to be awesome for its little price. I like very much that Sigma delivers most lenses completely with hood and bag. There seems to be some problem with WordPress and flickr-Linking. From the first article photo to the last factory-shot every linked photo is not working at flickr-side. It correlates partly with the caption being treated as a hyperlink (to flickr). Whereas the architectural photos are working. Firefox 43 on Windows here. 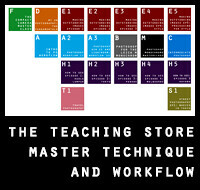 Sorry, that’s flickr doing it’s usual silliness…aargh! Ming – much interested in this Sigma stuff. I always enjoy your articles, especially this one. quality, is actually rather handy. Better still that once again I can tune focus to suit my body precisely. extends immensely on zooming) and secondly, it has the same precision feel as the rest of the Art lenses. ARE YOU REFERRING TO THE 18-35 HERE OR THE 18-300? THEN: Mostly plastics with some metal the 18-35 does not extend on zooming or focusing (with full time focus override) and has well-damped controls. double duty – without the hood, it will cover full frame at 35mm, 1.2x from about 21mm, and square at most focal lengths. There is some vignetting, of course – but this is easily fixable in post. AGAIN: ARE YOU REFERRING TO THE 18-35? maybe a D7200 (I have no lenses yet, other than the 18-105 kit). I have been thinking of collecting primes but if the 18-35 measures up to individual primes in IMAGE QUALITY is it worth the $800? Thanks, Ming, and KEEP UP THE GOOD WORK! 1. I’m referring to both 18-35 and 18-300. The 18-35 is of course better, but the 18-300 is impressively well built given its spec sheet and price point. 2/3. I’m referring to the 18-35 – I make no mention of anything above 35mm. Short answer: yes. The 18-35 is worthwhile IF you fine tune it properly. Not used either 7100 or 7200 so I can’t say. thanks for the reply, insights and the article great as usual! Thank you Ming. I work at a factory (not making lenses!) and I enjoy peeks behind the curtains of other companies, from Porsche to Sigma. How fun. I agree, I think it’s interesting that the 18-300 is their biggest challenge, but you’re right, it makes sense when you think about it. I’ll keep it in mind for my next (actually, only) super-zoom purchase. Apologies, I can’t find it if you already posted on this – have you had a chance to check out their 24-35 f/2? It’s REALLY short zoom, but if it’s as good as the 18-35, and I have no reason to think it isn’t, then it sounds like a fun alternative to the usual wide primes for FF. Interesting comment about the Nikon 16-80 f/2.8-4 being “disappointing.” Forgive me if I missed it, but I don’t recall seeing your analysis of this lens, Ming. Would you mind elaborating a little bit? I’ve had my eye on the 16-80, hoping it was both good enough and flexible enough to make an ideal travel lens. There was no analysis. My sample was so bad I returned it, and the other options in the store were no better. The wide end was acceptable, but 80mm was just soft all around, and the cornered had terrible smearing. Boy, there’s a bunch of dissonance on the 16-80. Some find it superb, others a modest improvement over the 16-85 and not worth the price. Then, Ming, there’s your experience, which seems to be so out of whack. And now you’re saying that an 18-300 superzoom outperforms it. Things just keep getting worse and worse for the new kit lens for the D500. 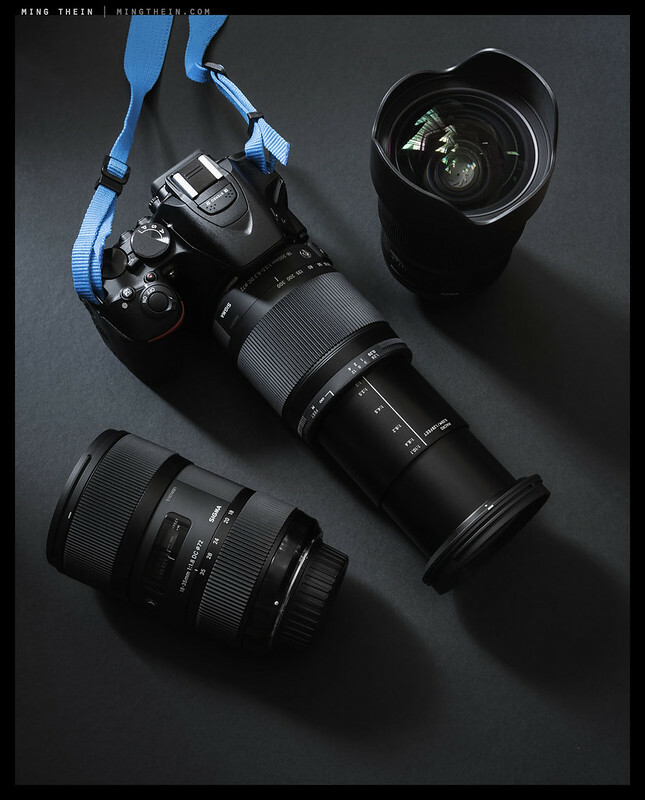 I will say this: Sigma is doing something very right with its newest lenses, both in the design, the manufacture, and the field-maintainability of them. Nikon, by contrast, is trying to compensate for reduced volume with increased pricing and a few marketing features that reflect positioning for an all-electrical mount future – a recipe for more rapid collapse after the initial fat wallets have been emptied. They dont produce the most important material in the lenses, the glass. Sigma buys their glass from Hoya. 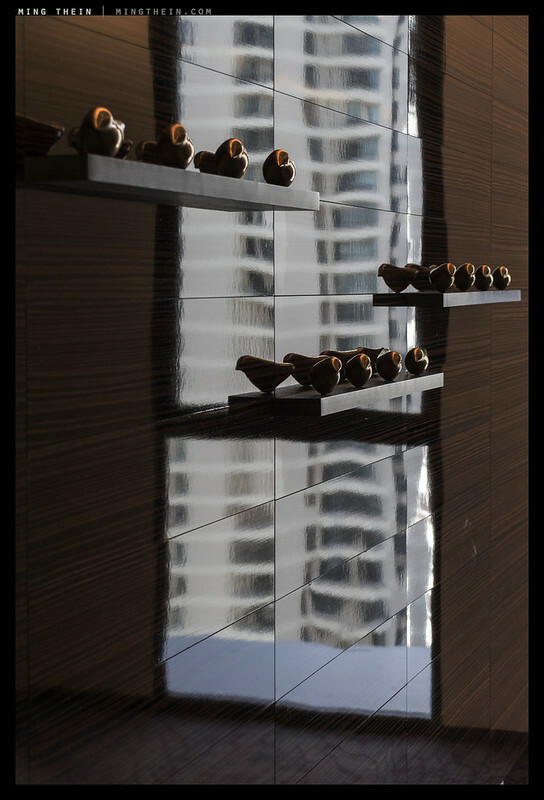 The glass has a primary effect on optical quality. Metal, plastic, polymers or whatever makes the housing is far less critical. You simply choose that to your price point and specs. Glass is different. Sigma does not make their glass. This is not to critisize Ming’s article, which was very pleasurable to read. Very few camera companies make their own glass and it should be clear that Sigma is not one of them. It would be interesting to know which companies actually make their own glass. I know Canon does, and I have read Fujifilm claim to make theirs too, although that is unproven. Does Nikon make their own glass? In this day and age of marketing, if they aren’t shouting it from the rooftops, they probably don’t. And I am very interested in the images you’ll capture with the Nikon D5500 and the Sigma Art lens. Thanks. I’ll be posting them to my flickr page in due course. Great read. 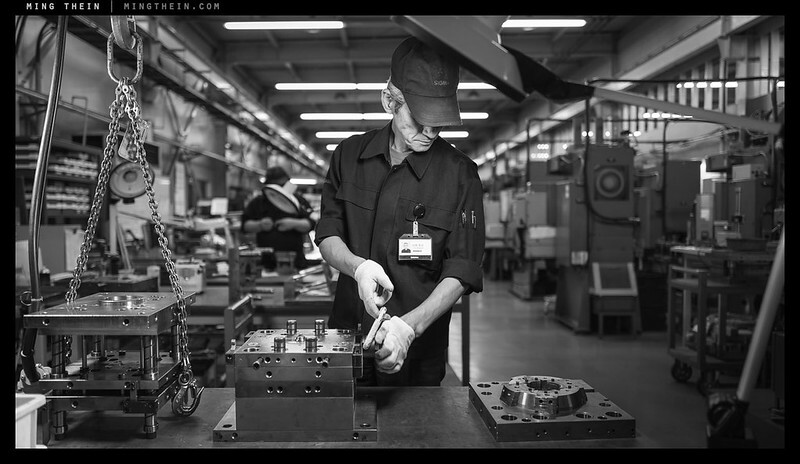 It’s always interessting to see what goes on inside the factories that produces our gear. 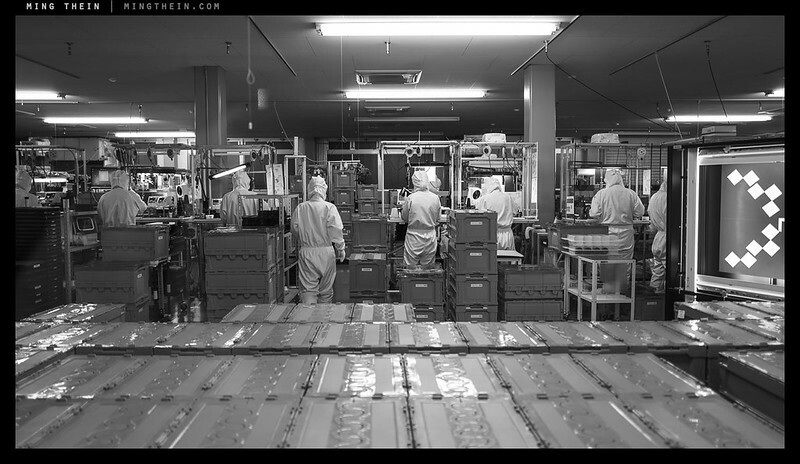 The Verge released a photo series the other day about the Fuji factory and the assembly of the X-Pro 2. It was a interessting look. because DPreview and DXOmark isn’t the target audience of Fuji? Thanks again for an excellent write and stunning images Ming. The more I study the company culture at Sigma, the more respect they earn to my book. Having a few ART lenses and two kidneys, I echo they are awesome fine for the value. Yes there’s AF issues in the middle of the focus range. They may fail by a low % and that’s common for non native lenses to my experience. Great read as usual Ming. I couldn’t help but wonder in which phase Sony mess up a lens since there are a lot of variation between copies… Even my RX100 iii is sharper than my 24-70 “Zeiss”. Where do you think the problem come from ? Have you had the chance to visit a Sony factory/talk with a Sony Rep about this issue ? I’ve read the interessting teardown of the Sony Zeiss 35mm 1.4 by Roger Cicala (http://www.lensrentals.com/blog/2015/12/sony-fe-35mm-f1-4-za-lens-teardown) in which he states that there’s not much of adjustment that can be made to correct a decentered lens for instance. Thanks Said. Sony is not interested in talking with me – I declined their ‘opportunity’ to shill their product for free. But I was told by Zeiss that it’s a mixture of many things – design compromises to price and size, quality control lapses, etc…at the end of the day, it boils down to pricing. QC costs money; design costs money; eccentric adjustment costs money. I get the impression from customer service here (i.e. gross lack of) and sample variation that Sony is a company that’s about selling as much as it can first, and making a ‘good enough’ product – not an excellent one, and certainly not a professional one. is Sony financially doing worse than Sigma in this struggling economy to be willing sacrifice legacy for quick profits? Sony keeps shutting down division after division because it isn’t profitable. Sigma is cutting back on OEM because of demand for their own products. I think that says a lot. Thanks Said. Sony is not interested in talking with me – I declined their ‘opportunity’ to shill their product for free. But I was told by Zeiss that it’s a mixture of many things – design compromises to price and size, quality control lapses, etc…at the end of the day, it boils down to pricing. QC costs money; design costs money; eccentric adjustment costs money. Sony is a company that’s about selling as much as it can first, and making a ‘good enough’ product – not an excellent one. Funny story about that, actually. I have a Sony RX100 Mk.II, and while I do thik it’s a fun and capable camera for it’s size, I ran in the whole “Sony is just flooding the market with cameras”-issue. You see, I bought an iPhone 6s before christmas and one of the perks of having an iPhone is that you get access to a whole lot of apps that I didn’t get on my old Windows Phone (Lumia 920). So I downloaded the PlayMemories app from the store so I could play around with the Wi-Fi functionality on the Mk. II. The funny thing is, in the screenshots up on the app-store it depicts the app offering full manual controls when you use it as a remote viewfinder. However, that doesn’t apply to the RX100 Mk.II. The Mk.III and IV offer full manual controll via Wi-Fi, but the Mk. II only offers basic capture and zoom functionality. Yes, I can take pictures via remote, but I can’t change any of the settings. You can’t even tap to focus. I guess this issue can be fixed in a firmware-update, but knowing Sony, they won’t bother. Sorry to go off-topic, but I just felt that I needed to rant. I still love the Mk.II, but don’t think I’ll ever get a Sony camera again. That’s Sony for you: irritatingly, very minor revisions merit a whole new version and land up making their products so worthless on the secondary market as to be effectively disposable. I don’t think they’re mutually exclusive in the long run. Short term profit maybe, but without legacy and customer loyalty you’re never going to get repeat business. I felt to some degree they kept all three in production to force you to choose one depending on whether you wanted a low price, an EVF or a hotshoe…but not all three, even though every other spec didn’t really change shooting in a material way. I still shoot Sigma Art primes on my D810, and remember the 18-35mm fondly from my D7100 days. Dunno about you but I find their AF performance below par even with tuning – because it’s inconsistent as well as inaccurate (compared with Nikon’s own lenses). But on a tripod, focusing manually, they’re hard to beat! Anyway, thanks for the interesting write-up and the usual spectacular images. I wonder if it’s because of the module itself – my 18-35 focuses a lot better on my 810 than the D5500, too.